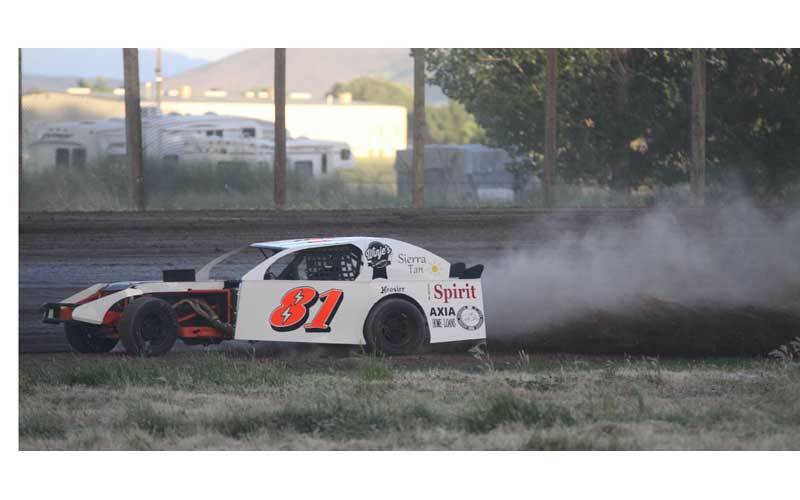 Avid fans of the Diamond Mountain Speedway races were well entertained with three events taking hold of the June weekends. 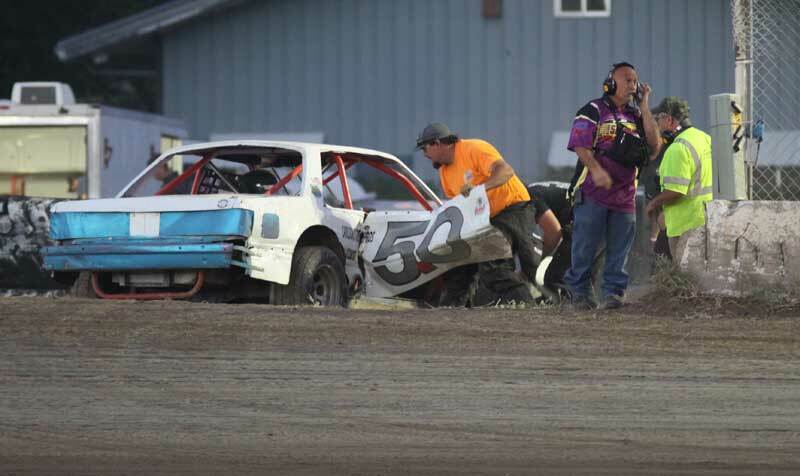 Racing fans were initially enthralled with the races held June 15 with a second event scheduled to follow on June 16, but fans were forced to settle for just the Friday night action of June 15 as the track was rained out before Saturday rolled in. 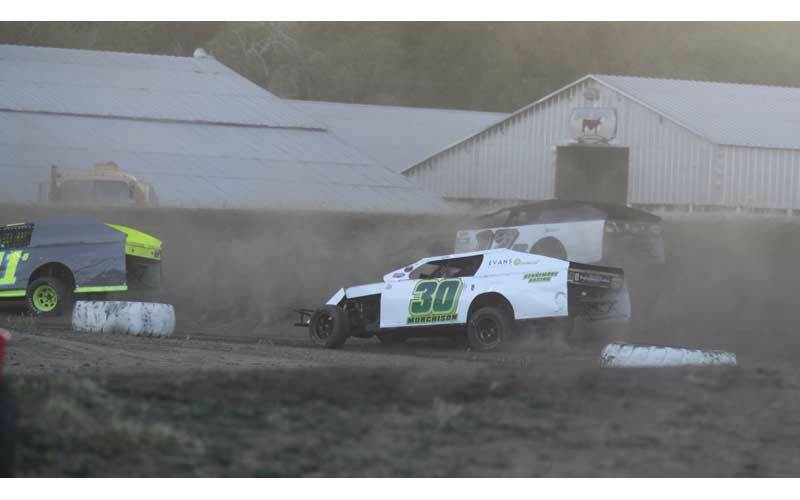 However, with the June 16 races cancelled, the Lassen County Fairgrounds Grandstands made up for the misfortune with some back-to-back racing Friday, June 29 and Saturday, June 30. 1. Matt Murphy, No. 6m, 40 points; 2. Jeff Olschowka, No. 121, 39 points; 3. Jeff Chew, No 8x, 38 points; 4. Chris Nieman, No. 3, 37 points; 5. Larry McCracken, No. 06, 36 points; 6. Scott Foreman, No. 4f, 35 points; 7. Mitch Murphy, No. 7m, 34 points; 8. Boyd Murchinson, No. 30, 33 points; 9. Wade Kennemore, No. 24k, 32 points. 10. Robert Robles, No. 17r, 31 points; 11. Galen Hainline, No. 11g, 30 points. 1. Jared Morris, No. 33, 35 points; 2. Tyler Eckles, No. 923, 34 points; 3. Nathan Howard, No. 81, 33 points; 4. Jacob Dias, No. 42, 32 points; 5. Jason Emmot, No. 9, 31 points. 1. Dan Dias, No. 69, 3 points; 2. Jimmy Ray Huffman, No. 27h, 2 points. 1. Katelynn Robertson, No. 7, 3 points; 1. Tom Davis, No. 76, 3 points; 2. Ryan Belli, No. 63, 2 points; 2. Cody Kennemore, No. 5o, 2 points; 3. Bion Barr, No. 03, 1 point; 3. Taylor Micone, No. 29, 1 point. 1. Belli, 36 points; 2. Cody Kennemore, 35 points; 3. Barr, 34 points; 4. Micone, 33 points; 5. Robertson, 32 points; 6. Anthony Hovland, No. 18x, 31 points; 7. Davis, 30 points. 1. Hainline, 40 points; 2. Wade Kennemore, 39 points; 3. Chris Nieman, 38 points; 4. Matt Murphy, 37 points; 5. McCracken, 36 points; 6. Chris Olexiewicz, No. 88c, 35 points; 7. Foreman, 34 points; 8. Robles, 33 points; 9. Murchinson, 32 points. 10. Mike Craft, No. x, 31 points; 11. Joe Blackwell, No. 221, 30 points; 12. 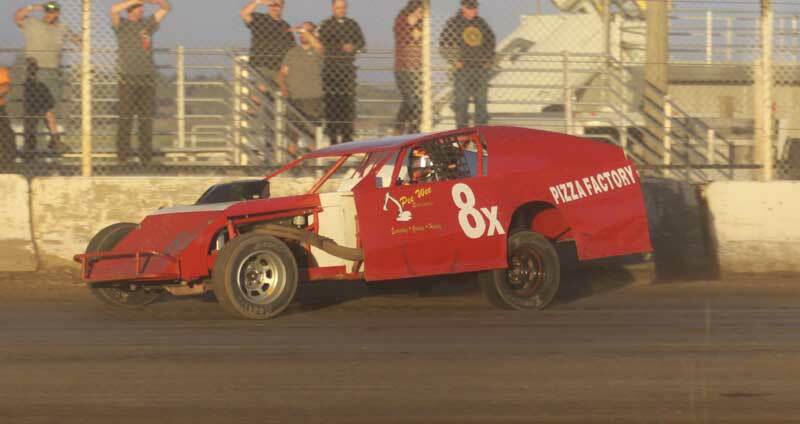 Tyler Patske, No. 9p, 29 points; 13. Olschowka. 1. Emmot, 36 points; 2. Howard, 34 points; 3. Richard Longacre, No. 07, 33 points. 1. Delbert Rios, No. 75, 39 points; 2. Colton Lawson, No. 32, 38 points; 2. Robertson, 38 points; 4. Micone, 35 points; 4. Kelly Kennemore, No. 1, 35 points; 4. Cody Kennemore, 35 points; 7. Hovland, 34 points; 7. Barr, 34 points. 1. Olexiewics, 40 points; 2. Olschowka, 39 points; 3. McCracken, 38 points; 4. Matt Murphy, 37 points; 5. Wade Kennmore, 36 points; 6. Chris Nieman, 35 points; 7. Hainline, 34 points; 8. Murchison, 33 points; 9. Robles, 32 points. 10. Patske, 31 points; 11. Kraft, 30 points. 1. Craig Nieman, No. 7n, 35 points; 2. Longacre, 34 points; 3. Howard, 33 points; 4. Morris, 32 points; 5. Emmot, 31 points. 1. Robertson, 39 points; 2. Lawson, 38 points; 3. Micone, 36 points; 4. Hovland, 33 points; 4. Barr, 33 points; 4. Cody Kennemore, 33 points, 7. Belli, 1 point.